Started working on another cover-up. 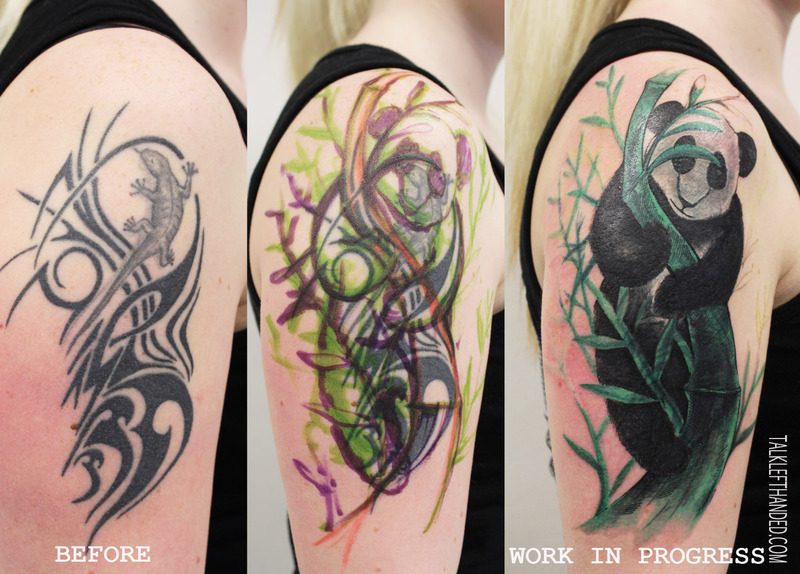 Customer wanted to have the panda instead of this mess on her shoulder. And so she got it, the panda. Not finished yet tho, need some more work, want to “tighten” the colours and also will add some background to it.